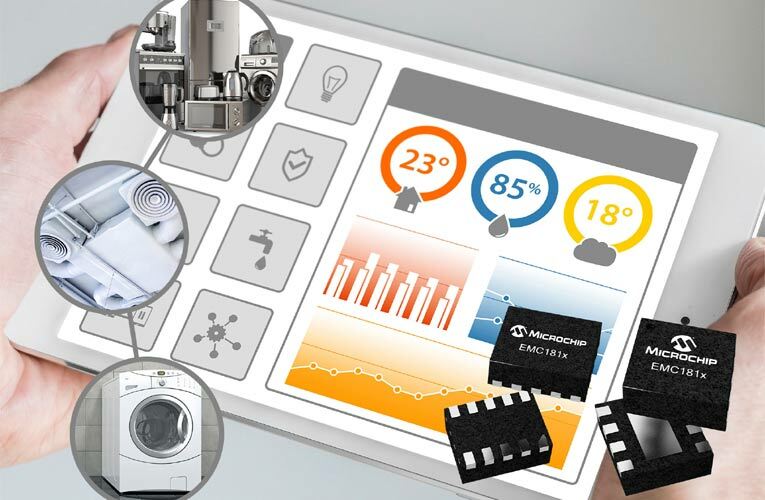 Temperature measurement is one of the important functionality for Internet of Things (IoT) and personal computing devices, thus developers need temperature sensors that reduce power consumption and lower system voltage in applications. To address this need, released five new 1.8V temperature sensors, including a five-channel temperature sensor with standard lead spacing. The EMC181x temperature sensor family also introduces system temperature rate-of-change reporting, a feature that provides advanced warning on how the temperature of a system is fluctuating. With the ability to measure the system temperature rate of change, the EMC181x devices offer two-dimensional temperature sensing. In addition to reporting on the regular temperature, the feature notifies customers of the rate of temperature change in a system and shares data that can help better regulate applications. Ideal for closed control loop systems and other applications that prioritize lower voltage rails, the system provides an early notification of rising or falling temperatures, protecting against potential system failure.